“Today’s meetings were a good opportunity to hold a frank, open and productive discussion on the state of EU-Turkey relations after weeks of undue estrangement. 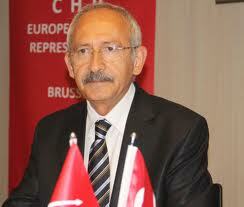 Turkey is a partner and a candidate country to the European Union. We must be able to speak openly to highlight progress, but also to engage constructively in the challenges faced. Today, I once again firmly and clearly condemned the attempted coup. The European Parliament’s support for democracy in Turkey remains unequivocal. I have paid tribute to the courage of Turkish citizens who took to the streets to defend democracy and derailed the plan of the plotters. It was their civic vigilance and the unity of Turkish political forces that stood up for democracy. Some paid the highest price for this: they deserve all our memory and gratitude. Today I also expressed my condolences for all the victims of the heinous terrorist attacks which have hit the country. The attempt against democracy was paramount and required exceptional measures to safeguard the democratic institutions. Yet the exceptional nature of the measures and of the state of emergency should not fail the test of proportionality and of the rule of law. We must also always remember, in Europe and beyond, that democracy is much more than the simple act of voting: democratic standards require pluralism, a vibrant press, a separation of power and free parliamentarians with an independent mandate. Today I also paid tribute to the Grand National Assembly of Turkey which had been directly targeted by the plotters. Turkey is facing momentous challenges: a deadly civil and proxy war at its doorstep, continuous turmoil in the South-East of the country, a looming terrorist menace both within and at its border, the refugee and migrant crisis, and a complex economic situation. Turkish citizens are showing remarkable resilience. Some of these challenges are testing the EU as well. Our cooperation, shared intelligence and expertise are essential to confront these multiple crisis. Our ties are strong and must be deepened. Turning our backs to each other would only harm citizens on both sides.